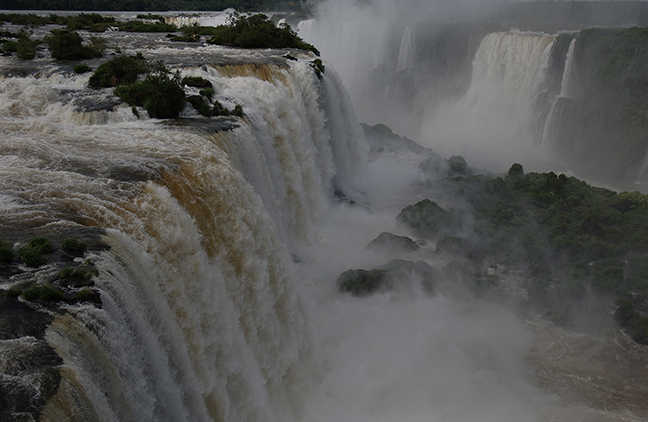 About 95 percent of Pantanal lands are privately owned and cattle ranching, introduced into the region more than 200 years ago, is the main economic activity in the Pantanal. 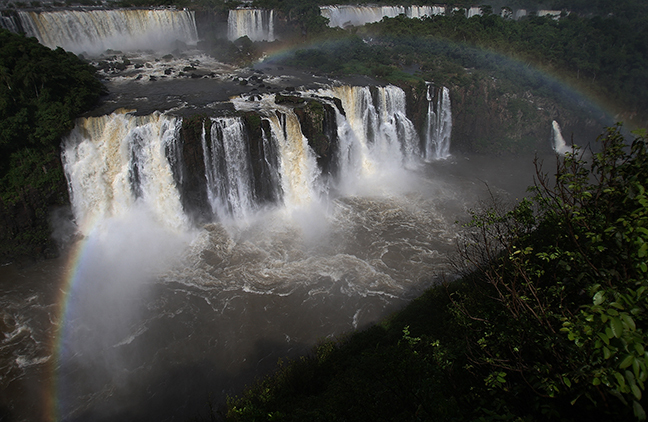 Every year in November or December, when the chuva (rains) begin, the low areas of the Pantanal flood. 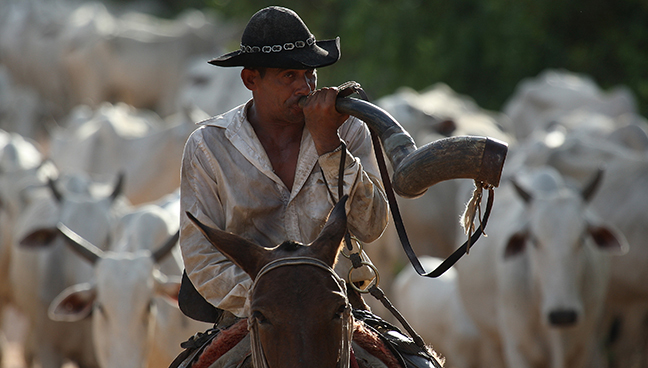 At the start of the rainy season, the Pantaneiros round up their cattle and drive them to market or to higher elevations. 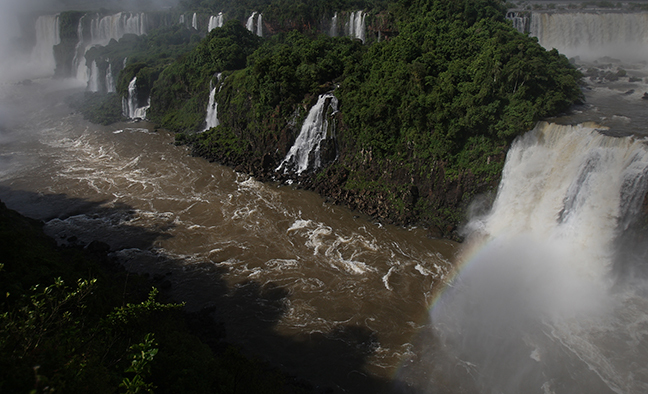 The water can rise up to 16.5 feet during the wet season. 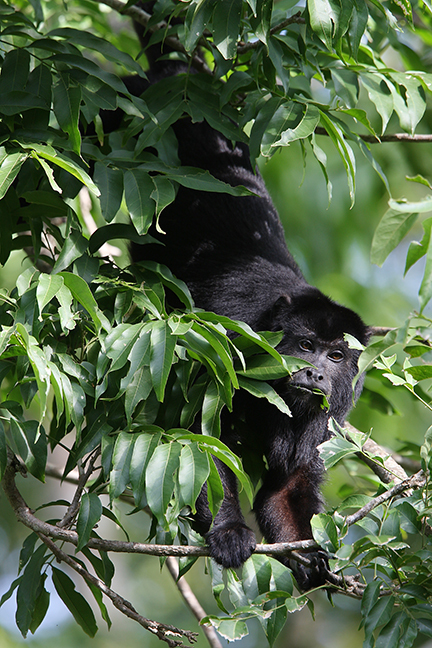 Tayra (Eira barbara) are omnivorous animals from the weasel family, native to the Americas. They are solitary diurnal animals that are opportunistic omnivores, hunting rodents and other small mammals, as well as birds, lizards and invertebrates, and climbing trees to get fruit and honey. They can be observed erratically bouncing across the ground, leaping across rocky cliffs or bounding between branches. A Rufescent Tiger-Heron lunges after prey in the Pantanal region of Brazil. Their diet is aquatic-based, including fish, crustaceans, water beetles, dragonfly larvae, adult dragonflies and grasshoppers. 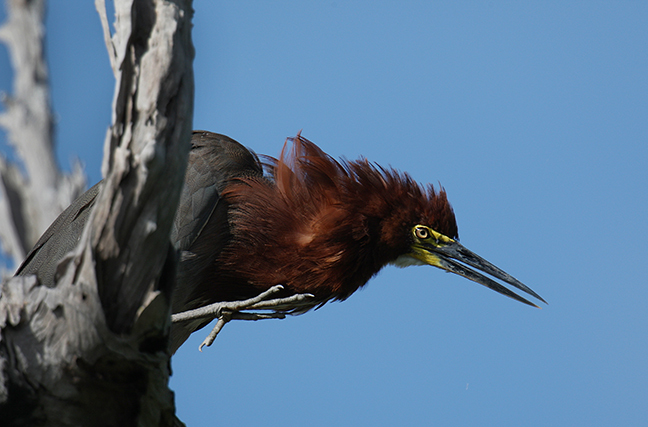 They typically hunt alone using their long pointed bills to catch fish. They wade along riverbanks or stoically perch on branches watching the water and waiting to strike. They are primarily a crepuscular species, most active at dawn and dusk. 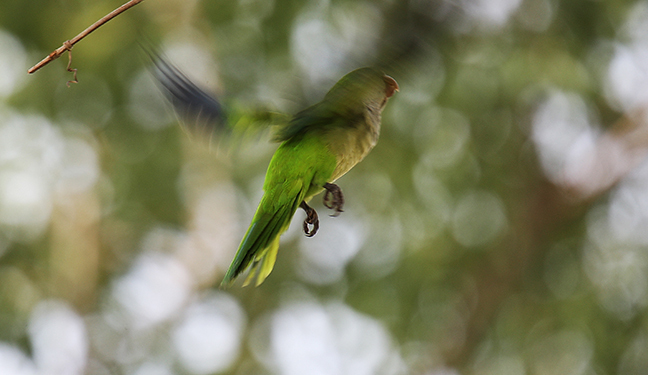 Monk Parakeets are native to temperate and subtropical regions of South America, where they inhabit savannahs and woodlands. Their diet is variable, depending on the availability of seeds, fruits, berries, nuts, flowers and leaf buds. 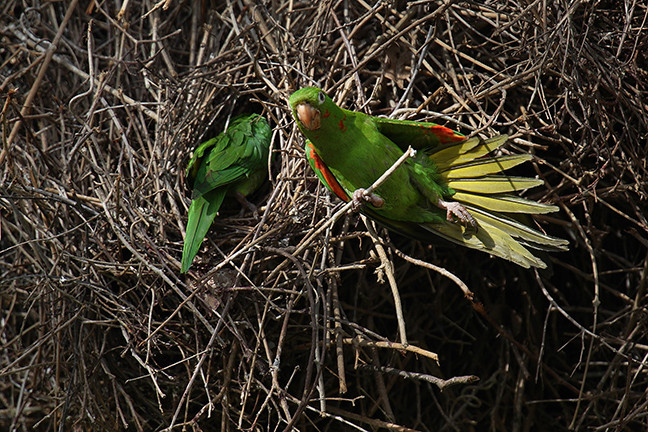 They are the only parrot that builds a stick nest, rather than using a hole in a tree and often breed colonially, building a single large nest with separate entrances for each pair. 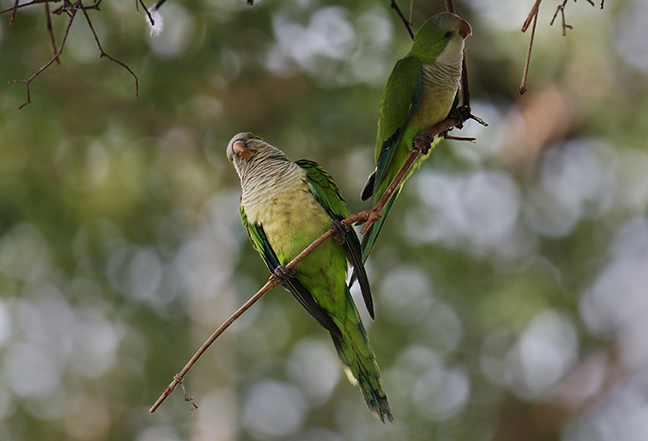 The White-eyed Parakeet (Conure) is a resident species in the savannas, woodlands, mangroves and rainforests of South America. 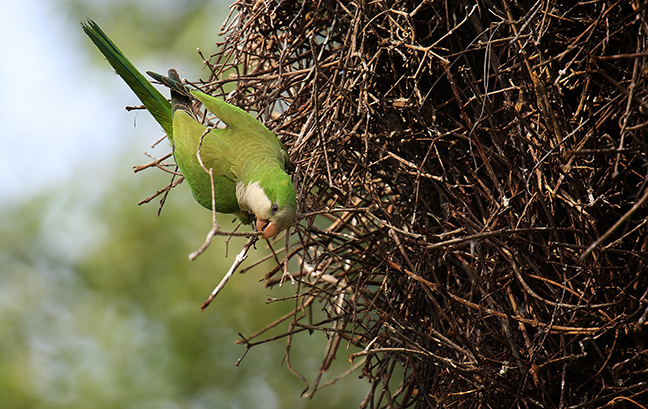 Although they usually nest in a high tree cavity or in limestone caverns, they will cannibalize monk parakeet nests in the Pantanal. They forage for seeds and small fruits by plucking them with their bills or feet and eating them while perched. 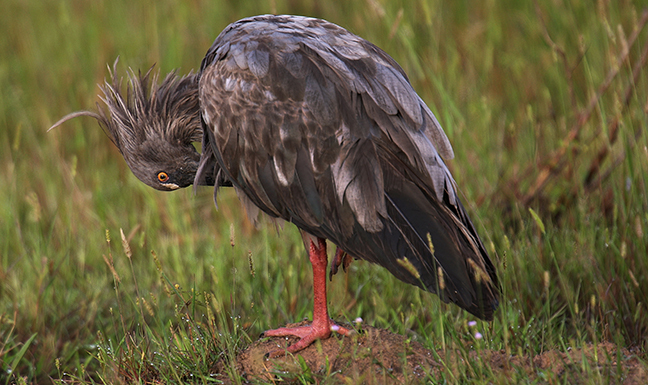 The Plumbeous Ibis frequents grasslands, savannas, fields, marshes and seasonally flooded areas throughout central South America. They feed alone or in pairs on insects, apple snails of the genus Pomacea and other aquatic mollusks by probing into the mud with their long curved bill with quick repeated movements. 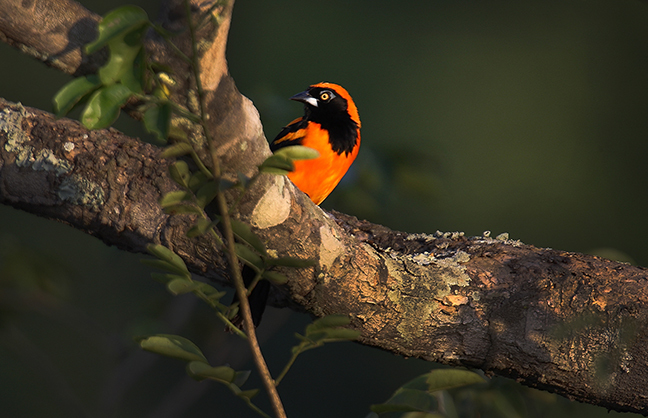 Orange-backed Troupials spend most of their time high up in trees or near the edges of rivers and lakes. They are usually found alone or in mating pairs. Pairs perch in trees and perform easily recognizable duets. Their diet is primarily composed of fruit, nectar from flowers and insects. They are obligate nest pirates, stealing and then occupying nests previously built by other species. Coincidently, they are also sometimes hosts for shiny cowbirds, which lay eggs in their nests hoping they will feed and care for their young. 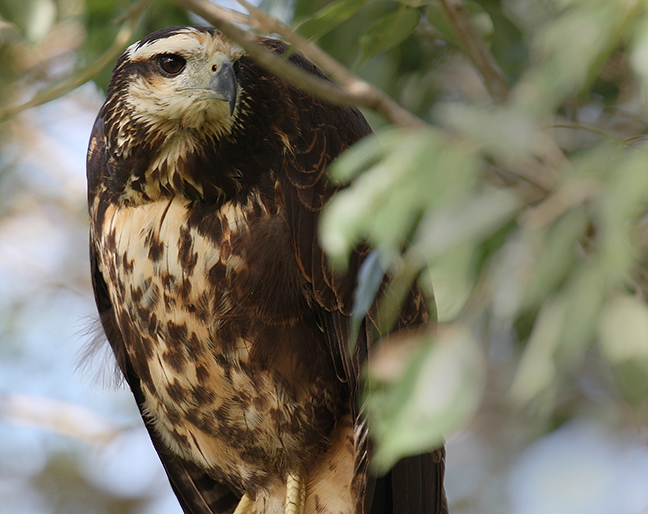 Immature Great Black Hawks are brown, mottled and streaked with a buffed white. 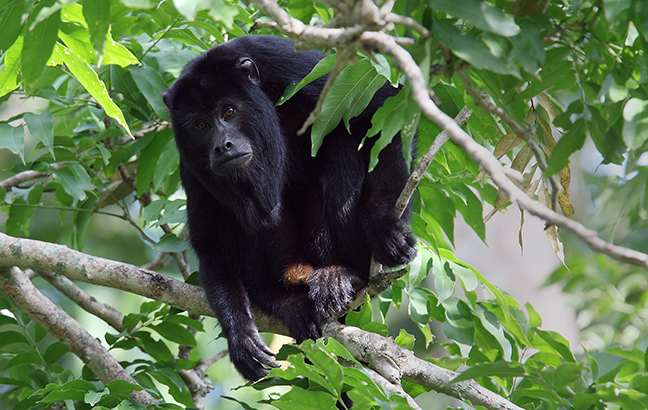 They live in forests and open woodlands near water. They often hunt on foot and have strong legs that allow them to walk easily on the ground or in shallow water where they feed on reptiles, rodents, birds and fish. They also hunt from a perch, searching for prey on the ground or in water. When prey is detected, they dive to snare it. 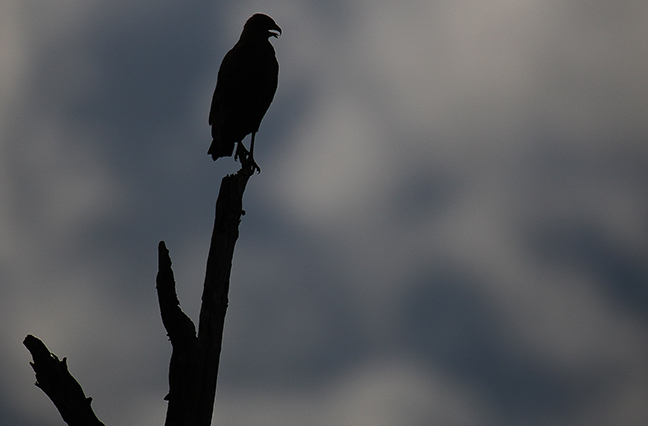 There are more than 20 species from the Accipitridae Family (Hawks, Eagles and Kites) in the Pantanal, including the Snail Kite (Rostrhamus sociabilis), by far the most common raptor, which feeds on the abundant apple snails and crabs. Green Kingfishers hunt fish and crustaceans from a perch, diving into the water to stab their prey and returning to the same perch before stunning their prey and swallowing it whole, head first, so they won’t get cut up by the bones or scales. They also feed on insects and other amphibians, such as small reptiles and crustaceans. 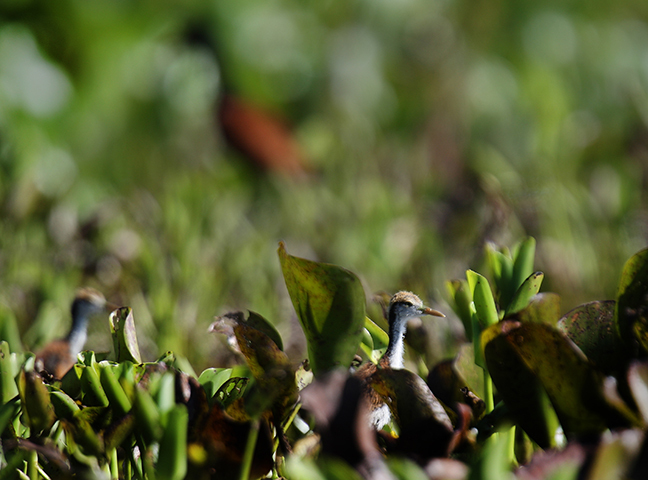 Wattled Jacanas inhabit seasonally flooded freshwater wetlands. They have huge feet and claws that enable them to walk on floating vegetation in the shallow lakes that they prefer when foraging for insects. 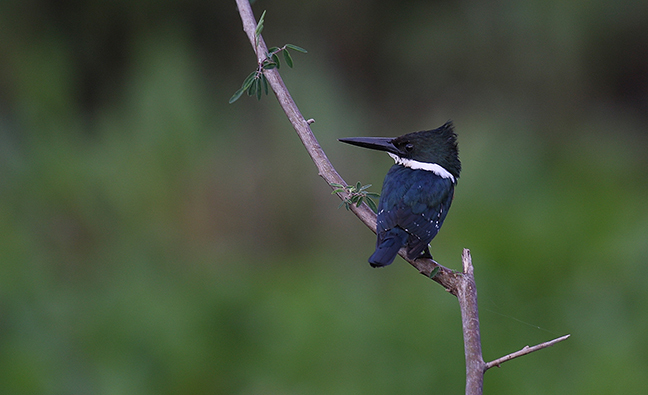 They are highly polyandrous with females breeding with up to four males and helping to defend their territories. 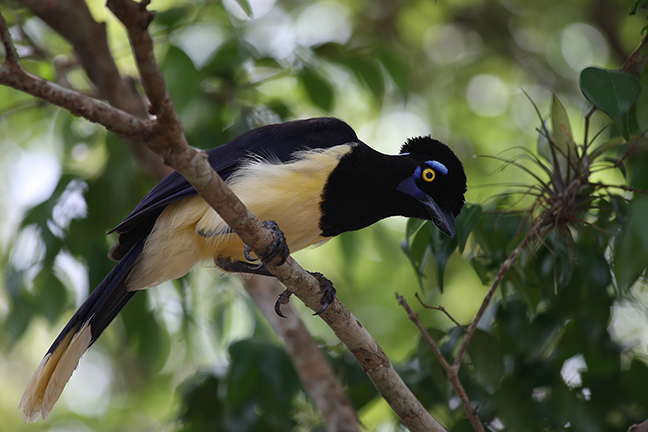 The Plushed-crested Jay frequents lowland evergreen and tropical deciduous forests to temperate rainforests and is a common resident of Iguazu National Park. They have an omnivorous diet, including small invertebrates, insects, some fruit and occasionally eggs, frogs, small snakes, nuts, maize and seeds. They usually have two to three helpers, offspring from the previous year, who help build their nest and feed their hatchlings.